India’s second and third largest telecom operators- Vodafone India and Idea Cellular’s merger proposal is in the final stages of approval as told by Telecom Secretary Aruna Sundararajan on Tuesday. “The Idea-Vodafone merger is in the final stages of approval. 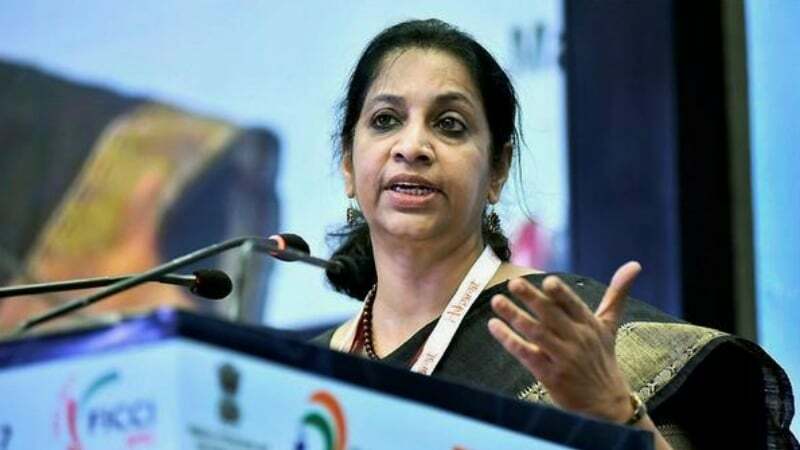 Because they have got the NCLT (National Company Law Tribunal) and SEBI (Securities and Exchange Board of India) clearances, but there are some FDI (Foreign Direct Investment) approvals that are involved, there are some liberalisation of licences,” Sundararajan said to reporters at IANS. The telecom secretary spoke to the media at an event organised by the Cellular Operators Association of India (COAI). “So, there are a number of clearances, it is not a one-step clearance,” she added. Both the telcos announced the merger back in March 2017, touting that it will take at least six quarters for the merger to complete. However, in recent times, it was reported that the merger would be completed much ahead than the estimated time and some reports even said the merger would receive the required approvals by mid-April. Both the telcos recently announced the leadership team of the merged entity as the operators are expecting the merger to be finished by the end of June 2018. Kumar Mangalam Birla will be non-executive Chairman of the merged entity, and Balesh Sharma who is currently serving the Chief Operating Officer at Vodafone India will become the CEO of the merged entity. The merger has already received necessary approvals from NCLT-Ahmedabad, Competition Commission of India (CCI) and is waiting for the approval from Department of Telecommunications (DoT). Both Idea Cellular and Vodafone stakeholders already approved the proposed merger. The merger worth $23 billion is one of the largest ones in the history of India. Once the merger completes, the entity will have over 400 million subscribers and higher market share than Bharti Airtel. And India will have a new leading telecom operator. Alongside this news, Sundararajan also confirmed that the National Telecom Policy is currently in the final stages of drafting. Post that, it would be taken to the Telecom Commission for approval and then to the government. Facebook Admits to Using SMS and Call Log Data from Messenger: How to Stop it? What about public operator in indian telecom – BSNL-MTNL future….? Is there is any final chance to BSNL-MTNL for survival ?